If there is a book about Africa "The Shadow of the Sun" is defo one of the books that will come to people's mind. Written by the Polish journalist Ryszard Kapuscinski the book is actually a collection of essays about his experiences in Africa he made in 40 years of beeing a foreign correspondent - from the initial enthusiasm in the 1950s when colonial power began to wane to the destruction of that dream and war and starvation. Each essay could stand alone, but all together they are forming a pretty unique portrait of Africa, the people and, of course of the author, Ryszard Kapuscinski. Polish writer Ryszard Kapuscinski died on January 23, 2007, at the age of 74. As a foreign correspondent, Kapuscinski covered coups and revolutions in the developing world for forty years. This interview originally aired in 1988. Forums and blogs are the usual online avenues adventurers tend to follow when they are researching destinations, but Twitter brings a whole new interactive element into play. Acacia Adventure Holidays Tweet up on the lost continent, held on Friday 21 August, certainly brought some interesting questions to the fore including; when is the best time to spot Lemurs, how are tourists contributing to eco-tourism, and why travel with a tour operator as opposed to travelling independently? Madagascar has recently hit the headlines with the visa waiver (available to tourists staying under 30 days and travelling up to 31 December), while the current power sharing agreement has also brought political stability to the fourth largest island nation. Acacia Adventure Holidays' tours to Madagascar start from £630pp with departures every Saturday (April – December). The 8-day Madagascar Dhow Sailing adventure begins at Hellville Port, the itinerary taking travellers around the Nosy Be archipelago. 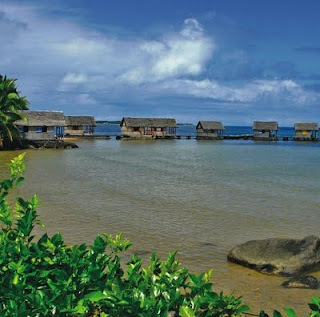 When not camping on secluded islands adventurers can opt for forest walks, swimming and diving. Highlights include Nosy Tanikely, a marine reserve which is perfect for snorkeling; Nosy Komba, noted for its friendly Lemurs; and Mahalina – with opportunities to explore the mangroves by kayak. The price includes all highlights, transport, camping equipment, sleeping mat, airport transfers, some meals, and services of skipper, chef, and three crew. Excludes visas, travel insurance, flights, departure taxes, sleeping sheet, snorkel, kayaks and fishing line hire, tips, soft drinks, optional activities and items of a personal nature. Group size (maximum ten). Accommodation: guest house (1-night), camping two person dome tents (6-nights). The uShaka Marine World is one of Durban's top tourist attractions. It is the 5th largest aquarium in the world boasting 32 tanks totaling 17,500 cubic meters of water. The main sections of the uShaka Marine World are the uShaka Sea World (the actual aquarium), uShaka Wet 'n Wild (a water park for young & old), uShaka Beach (well, guess, a beach) & uShaka Village Walk (restaurants, shops etc.). The whole complex is located on the strip of land between Durban's beachfront and the harbour. 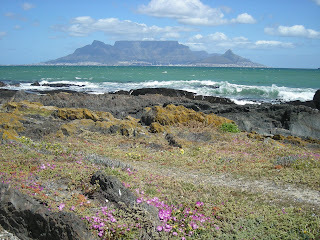 Drakensberg Mountains, Wine Tasting, Cape Town, Durban, Plettenberg Bay, Wild Coast. At each turn, the look and feel of the landscape and cultures of South Africa change as you make your way through a fantastically diverse and beautiful country. This is an ideal adventure for those looking to explore South Africa's rugged green coast, have some fantastic wildlife encounters, participate in numerous activities, and explore one of the world's impressive cities, Cape Town - What a trip! Game drives, Lake Nakuru, Lake Naivsha, Masai Mara, Great Rift Valley, Arusha, Lake Manyara, Serengeti, Ngorongoro Crater, Olduvai Gorge. This trip is the ultimate East Africa lodge safari! From the millions of flamingos on the soda lake of Nakuru, breathtaking views East Africa's Great Rift Valley, to the vast expanses of the Serengeti plain, search for the "Big 5" - lion, leopard, rhino, elephant and buffalo in their natural habitat, all while enjoying your evenings in comfortable safari lodges and hotels. Travel by small safari vehicles to maximize the quality and amount of time on safari. Game Viewing, Arusha, Lake Manyara, Serengeti, Ngorongoro Crater, Olduvai Gorge. The perfect lodge safari! Tour the best known game parks in Tanzania in search of the "Big 5" - lion, leopard, rhino, elephant and buffalo, experience breathtaking views East Africa's Great Rift Valley, see phenomenal wildlife in its natural habitat, all while enjoying your evenings in comfortable safari lodges; this a truly unforgettable adventure. We are looking for people who want their contribution to be directly and effectively utilised in genuine conservation efforts. If you wish to be a part of a professional conservation team, and experience some of the most exciting conservation work in Africa, then you are the kind of volunteer we are looking for! We personally initiate, implement and manage the Endangered Species Monitoring programmes on reserves that don’t have the means to do so themselves. Our programmes are responsible for important wildlife research, working with amongst other animals, Black Rhino, Cheetah, Wild dog, Lion, Elephant, Leopard and Hyena. BBC documentary podcast about "Gold"
tours, safaris? sort of... check! rental car, bus, train etc? sort of... check! restaurants, snacks? well, once in a while... check! But what about the every day costs? The list is probably missing some stuff. Let me know what you think is missing & I will add it. Johannesburg's Apartheid Museum, illustrating the rise and fall of the Apartheid, opened its doors in 2001. For anyone wanting to understand and experience what apartheid South Africa was really like, a visit to the Apartheid Museum is fundamental. The whole museum complex, conceptualised by several leading architectural firms, is a superb example of design, space and landscape offering the international community a pretty unique South African experience. All 22 individual exhibition areas in the museum, including provocative film footage, photographs, text panels and artefacts illustrating the events and human stories, are taking the visitor through a dramatic emotional journey that tells a story of a state-sanctioned system based on racial discrimination and the struggle of the majority to overthrow this tyranny. 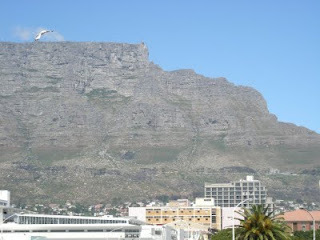 As of 17 Aug 2009 you can purchase Table Mountain cableway tickets online. The online tickets are available from www.tablemountain.net, the official website of the cableway. They are valid for seven days after purchase (full refunds are available during the 7 day period). Visitors can also extend the ticket for a further three weeks and forego a refund. According to Zimbabwe's Financial Gazette a new airline has applied for a licence to operate in Zimbabwe. Nu-Aero, trading as Fresh Air, will operate passenger and cargo flights to regional and international destination. No information were given if & when the airline may start operations. Last month several newspapers were reporting that an airline called Fly Kumba is scheduled to begin operations in September in Zimbabwe. In another article the newspaper is quoting AirZim's Chief executive officer Peter Chikumba saying that Air Zimbabwe Holdings (AirZim) is technically insolvent and on the verge of collapse. The Wild Dog is South Africa's most endangered large carnivore. There are fewer than 500 free-ranging wild dogs in the country, most of whom live in the Kruger Park, with a handful found at smaller provincial and private reserves. The Sterkfontein Caves, situated in Gauteng province, are a UNESCO World Heritage Site since 1999 and the area is called the Cradle of Humankind because it is believed to be the place where man originated millions of years ago. Among the stunning discoveries made at these Caves are the oldest human fossil and a skull of pre-historic female, which anthropologists have dubbed Mrs Ples. Maropeng at the cradle of humankind from murray ralfe on Vimeo. Maropeng Visitor Centre nearby is a world-acclaimed tourist destination and an area of spectacular beauty. A visit to the state-of-the-art Maropeng Museum, spread over a 47,000 hectare valley, takes you on an incredible journey back in time, literally millions of years in evolution. So you want to learn about wine, but don't want to sit in a stuffy tasting room with Mr. Know-it-all sitting next to you who was clearly born on the vine itself, and knows far more about wine than you may ever aspire to? You'd like to learn and explore and have a good laugh with a great guide on a well-planned trip, and not HAVE to spit it out?! Check this tour, book it and experience the fun the STA Travel World Traveler Interns had on their expedition into the Cape Winelands! The National Park in the Eastern Cape of South Africa has opened a new 4x4 Trail. The "Koedoeskloof 4x4 Trail" is free (except for the park conservation fee). No booking is necessary; a 4x4 vehicle is essential. Wild Golf? In Dinokeng? Yes! Where? Well, Zebra Country Lodge has now it's own Wild Golf course. Dinokeng's vast landscape is perfect for "wild" golf, which is being played on natural terrain. Only one club with three striking faces is used and the ball, which weighs as much as a golf ball, is rubber and is more than twice the size of a normal golf ball. The town of Victoria Falls in Zimbabwe recently got a facelift. In honour of the 13th COMESA (Common Market for Eastern and Southern Africa) Heads of State meeting all roads were resurfaced and buildings were repainted. The Mbabane bypass (highway from Ngwenya/Oshoek border post to Manzini) is now open for public use. The Lavumisa to Big Bend road has just been resurfaced and is now open for public use as well. Mlilwane Wildlife Sanctuary has opened a new campsite, with 18 sites, each featuring a braai and an electrical outlet. Table Mountain Cableway will re-open to the public on Monday August 17, 2009, (weather permitting) after four weeks of annual maintenance. Table Mountain Cableway is required to do annual maintenance to meet the highest global cableway standards set by the Swiss Governing Body for Cableways (BAV). Cableway family winter special that offers two children under 18 years a free return trip if they are accompanied by a full paying adult (valid over weekends, school holidays and public holidays until September 15, 2009). Should your birthday have fallen within the Cableway's closure you may redeem this offer one week after (August 17 - 23, 2009) annual maintenance. ESL World Music Sampler for FREE! NEW & FREE!!!! ESL World Music Sampler on Amazon.com! Features a track from Thievery Corporation and seven other artists from ESL Music! The sale of MP3 Downloads is currently available only to US customers located in the 48 contiguous states, Alaska, Hawaii, and the District of Columbia. BRITISH Airways has announced that, effective from 27 Oct 2009, it will reduce its frequency between London and Cape Town from 14 to 13 flights per week. Flights on Tuesdays and Wednesdays will be cancelled. The cancellation is a result of the airline’s decision to introduce an additional Luanda service. Passengers booked on these flights will be re-accommodated. AIRLINK will start operating its new route from Kruger Mpumalanga International Airport to Livingstone on August 17 2009. RWANDAIR has announced that, effective August 17, it will operate the Johannesburg/Kigali service via Bujumbura (Burundi). UPDATE: Last minute deal GBP1500. Applies to 4 Oct, 25 Oct & 8 Nov departures only. On these wildlife volunteering vacations you will start at Victoria Falls in Zambia and then travel to the Caprivi delta of Namibia and Botswana to study lions, cheetahs and leopards and their interactions with the local human population. The Caprivi delta boasts the same amazing array of African megafauna as the Okavango or Chobe National Park, but without the crowds. In fact, it is virtually unexplored and unmapped, and your job on the expedition will be to track, capture and relocate (if necessary) lions, cheetahs and leopards in order to mitigate human-wildlife conflict. You will also help our scientists to map the area properly and talk to local people about how predators and people can live side by side. 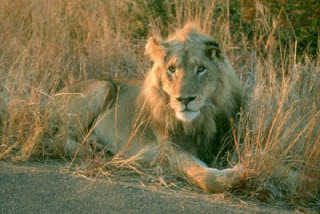 These wildlife volunteering vacations will conduct a survey of five of Africa’s large carnivore species (lion, leopard, spotted hyaena, cheetah and wild dog) their dominant prey species (cape buffalo, giraffe, red lechwe, puku, sitatunga, roan antelope, kudu, Burchell’s zebra, blue wildebeest, warthog, bushpig, impala, common duiker, steenbok, numerous small mammal, primate and bird species) and domesticated species such as cattle, goats, pigs, cats and dogs. We will capture, collar and monitor key study animals and respond to incidents of livestock depredation in neighboring communities. The expedition will also survey human populations in the area, conduct investigations into the ecology of human-predator conflict (HPC) and contribute to the development of rural livelihood strategies that will promote coexistence between people and predators and be implemented on a national scale. The area is of very significant conservation importance but also experiences the highest number of HPC incidents in Namibia and some of the highest in Africa. Data collected by this expedition will be crucial in our mission to combat the top threat to carnivore conservation in Africa today, namely human-predator conflict. The Johannesburg - Lusaka flight is supposed to be back on normal schedule. 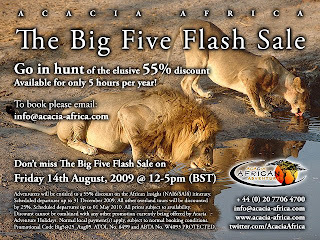 Acacia Adventure Holidays will be running a Big Five Flash Sale on Friday 14 August, lasting for exactly five hours. Featuring discounts of up to 55%, this is the ideal time to book an overland tour. The term “Big Five,” was coined by the big game hunters themselves – these "now you see 'em, now you don't," predators being the hardest to hunt on foot. According to the tour operator, the Big Five are not a guarantee for safari goers either, but they continue to be the main exotic draw for adventurers in Africa. The Big Five Flash Sale, which will run from 12pm to 5pm, will incorporate all of the tour operator’s overland tours at a 25% discount – with a whopping 55% saving on the six-day African Insight. 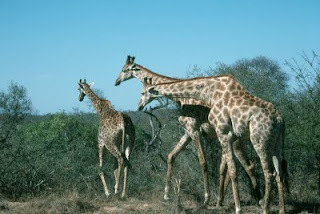 Featuring game viewing and night drives in the Kruger, river cruising in the Chobe National Park and an adrenaline fuelled day at the Victoria Falls, the bite size itinerary is perfect for adventurers who are looking to get a taster of the overland experience. “Andy, the great outdoorsman from the Veldt,” a larger than life character appearing on the tour operators blog (africastuckonyou.blogspot.com), will also providing live commentary from outside the Acacia office and engaging with Acacia Adventure Holidays’ “tweeps” (or twitter fans) on the day of the Big Five Flash Sale. In addition, there will be ongoing updates on the best place to catch up with these predators on the tour operator’s Twitter page before the sale begins (twitter.com/AcaciaAfrica). Adventurers are being advised to get in quick as discounts will be treated on a first past the post basis and Acacia is asking its customers to email info@acacia-africa.com, due to the huge influx of calls it is expecting to receive over the course of the five hour flash sale. The 43-day Kenya to Cape Town “overland Twitter tour,” will also be coming live and direct from Dan, “Acacia’s Man In Africa” (twitter.com/AcaciaAfrica) in August. A real traveller, Dan’s blog and his Acacia itinerary (beginning on 09 August) are available to view on his, “around the world travel blog”: www.dansadventure.co.uk. Price: from £1595 (5 weeks) - £2595 (10 weeks) excluding flights. We run wildlife research expeditions on the Karongwe Game Reserve and Venetia Limpopo Nature Reserve, both in the Limpopo province. We have been working in conjunction with local partners since June 2000. The aim of this research is to determine the impact of reintroduced mammals on game reserves and to develop some of this land into fenceless wilderness areas. The results are shared with the Kruger to Canyons Biosphere Reserve, which is funded by UNESCO. South Africa's Game reserves are of key importance to South Africa's natural heritage because they house over 55% of the natural life on the subcontinent. Following an intensive training week with lectures on topics including animal behaviour and ecology and tuition in the use of telemetry, volunteers will participate in wildlife and vegetation monitoring projects, including assisting with the research on predator/prey interactions, elephant impact surveys, reserve mapping and wild dog breeding programmes. In some circumstances the team might get involved with the exciting work of darting and the fitting of radio tracking collars to lions and leopards. Expedition Members that participate for 10 weeks will get the opportunity to experience both Karongwe and Venetia; 2 of South Africa’s finest reserves, spending 5 weeks in each location. Both bases have a satellite camp, located in the mountains. The fresh mountain scenery, varied flora and fauna and panoramic views provide a refreshing break from the heat of the bush. This is a great opportunity to be part of an expedition that really is making a difference to the survival of Africa's natural heritage. You will be working towards a long term conservation strategy amongst staff whoare dedicated to their work. Not only is it a spectacular location for game and scenery but the training and experience of the African bush are second to none. Leisure activities during your free time: Research is a priority although if time allows side trips can be arranged to various local attractions including; a reptile park, wildlife rehabilitation centres, mountain picnics and white water rafting (dependant on water levels). Do I need an International Drivers Licence in South Africa? you DON'T need an International Drivers Licence. If your drivers licence is NOT issued in ENGLISH you DO need an International Drivers Licence to drive a car in South Africa! What is an International Drivers Licence? An International Drivers Licence allows an individual to drive a private motor vehicle in another nation when accompanied by a valid license from their home country. The document is slightly larger than a standard passport and is essentially a multiple language translation of one's own existing driver's license, complete with photograph and vital statistics. It is not a license to operate a motor vehicle on its own. Why do I need an International Drivers Licence? (b) such licence contains or has attached to it, a photograph and the signature of the licence holder. Gap Adventures have joined with WorldNomads.com & National Geographic Channel to give one exceptional individual the chance to go on assignment with renowned wildlife photographer Jason Edwards to Antarctica! The brief is to photograph the world's most remote wilderness on Gap Adventures’ Antarctica Classic aboard the M/S Expedition, exploring the Shetland Islands and Antarctic Peninsula. Your best photos will be published on the National Geographic Channel's website where they will be viewed by thousands of travellers worldwide, offering you a once-in-a-lifetime chance to get your foot in the door of one of the most revered exploration organizations in the world! Antarctica from Frenz on Vimeo. You’ll be flown in from your country of residence to Ushuaia, Argentina where you will board the M/S Expedition on an 11 day assignment. You'll need to be available to be in Antarctica between November 22 - December 2, 2009. On the Expedition, you will work alongside Jason Edwards photographing some of the planet's most impressive wildlife including Minke & Humpback Whales, Leopard Seals, Penguins, Albatross and dramatic iceberg landscapes. You will gain invaluable mentoring and hands-on experience in everything from shot set up, technique and composition through to insights into his many years of diverse experience as an award winning photographer. Your assignment will involve observing and assisting Jason as well as undertaking your own photographic work. This will involve long days chasing the perfect shot! You will keep a daily diary about your time on the trip and upload this to a WorldNomads.com travel journal, including pictures you've taken. On your return you will submit your top photographs to National Geographic Channel for publication on www.natgeotv.com.au. Most of all, you'll be experiencing what it's like to be a photographer-on assignment with National Geographic! Anyone can apply - this is open to photography students, lovers of photography or any non-professional trying to kickstart a career in travel photography. This is a global opportunity - you may apply from any country. You should be an exceptional photographer with a lust for adventure, ambition to grow your photographic skills and forge a career in Travel Photography, and of course a desire to travel to Antarctica. Despite all discussions raging about whether cage diving is causing shark attacks to increase in frequency or not, Shark Cage Diving became one of the top tourist activities in the Western Cape of South Africa. Studies were made pro and con the diving and both side keep on declaring to be right with what they found out. Well, in the end it is your choice if you want to do it or not. Great White Cage Diving, SA from George Pagliero on Vimeo. Orlando Towers, already known for developing the disused Orlando cooling towers in Soweto into a vertical adventure facility and tourist attraction for Soweto, will introduce Soweto's first bungee jumping facility to the market. They are currently hoping to have the BUNGEE BRIDGE complete some time in July, and will have the BUNGEE JUMP open to the public in August 2009... so start practising... 3,2,1.... BUNGEEEEEEEEE! Tsitsikamma's Dolphin Trail, a joint initiative with private parties adjacent the park, which got badly damaged during some storms and fires in 2008, has been rebuild. The semi-luxury hiking 17km trail follows the Tsitsikamma coastal belt, a narrow plateau between the Tsitsikamma Mountains and the Indian Ocean. Sense of Africa, a tour company based in has announced the launch of an open-top double-decker bus tour of Windhoek. Du to the strong demand for cultural tours by visitors they have also set up a partnersip with a community-based operator in the Aabadi Bushman Village. Avis Rent-A-Car Zimbabwe is upgrading their vehicle fleet. Zimbabwe's government recently allowed tourism operators to import capital goods on a duty-free basis and hence Avis is investing in new vehicles. Looking at 2010 one managing director said that the delivery of four new Chevrolet Aveo vehicles is the first phase of a programme to bring its fleet up to date and beyond. Well, let us take it as a good sign for Zimbabwe. Please note that we are closed for May and June. 6 nights for the price of 7. The lodge is located on the beachfront with amazing views of the open ocean, Lamu island, Shela village and dhows sailing past. 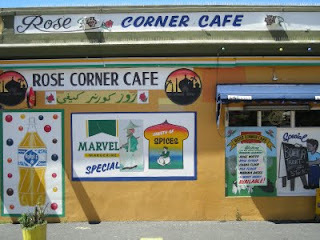 It is the perfect place to come and relax for days or weeks, away from the stresses and strains of everyday life. Here we offer more of a rustic ‘Robinson Crusoe experience’; we work closely with the local Swahili people taking into account their culture and only using local methods and materials to create a refreshing, eco-friendly, alternative style holiday. We have six beach huts called bandas, including one family size which sleeps 4-8. The others have a double bed downstairs and a single bed mounted in the roof, a front porch and en suite shower, sink and flush toilet. All banda’s are provided with bedding, mosquito nets and towels. All have electricity with British socket from 7pm till around 10pm after which paraffin lamps are provided. Bed, Kenya beach resort on Manda IslandWe also have a treehouse to rent. It sleeps between two and six people, with wooden floors, branches coming through the walls and a large veranda on the first floor stretching right around the tree, where drinks can be brought to you. It is an amazing experience to be lying in bed in a baobab tree watching the colourful birds fly by with a view across the village over to the dunes of Lamu island. Due to an incident with a hippo (read the forum post on the sanparks forum) during a mountain bike tour starting at Olifants camp in the Kruger National Park all other cycling tours at Olifants are temporarily not available. I'll keep you updated about further info about the tours! update: just got an email from SANparks reservations desk saying "The mountain bike is closed until futher notice please contact Olifant on this number for more information (013)735-6606." Rough Guides is celebrating the publication of Clean Breaks by offering you the chance to win a once in a lifetime trip to Borneo for two! Clean Breaks unearths 500 unique experiences and new ways to travel that make a real difference to the lives of local people and the planet.